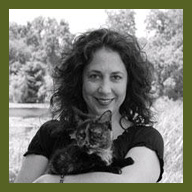 Directory > Providers > Pet Services > Veterinarians > WI > Muskego > Jodie Gruenstern, Dr.
We are a full service small animal veterinary facility and natural pet retail shoppe. We preach prevention and encourage excellent fresh food nutrition. We discourage excessive vaccinating. We offer titre testing. We provide effective essential oil alternatives to the toxic pesticide spot-ons commonly used for flea and tick control on pets. Our atmosphere is unique and clients often comment that they cannot believe how much their pet now enjoys coming to the vet! We offer conventional care, surgery, dentistry and herbal, acupuncture and veterinary spinal manipulative therapy (chiropractic). Been coming with my boxer for many years and could not have found a better vet than Dr. Jodie. She truly made Stella's life so much better and is a fountain of solid and needful information in so many aspects to the wellness and care for your animal companions. I know Stella has been with me as long as she has been in much part due to Dr. Jodie and her practicecare. Did you spend a lot of time in the waiting room at this veterinarian's office? I waited forever for my appointment!